Arctic Edge 18 – Special Operations Command – North or SOCNORTH is currently participating in Arctic Edge 18. This is an exercise conducted by a host of military units to SOCNORTH, U.S. Marines, U.S. Army, and 11th Air Force. SOCNORTH, based at Fort Carson, Colorado, is running the Joint Special Operations Task Force – Alaska. Elements under SOCNORTH control are conducting long-range movements in severe weather conditions over treacherous terrain. The temperatures are very cold (sub-zero). The exercise, taking place in March, involves the CJSOTF – Alaska as well as one advanced operating base team and two operational detachment – alpha teams. Both teams have personnel that are mountain-trained. The ODAs are conducting a wide range of training activities to include long-range ground and air infiltration events, air drop of equipment, reconnaissance and direct-action (DA) missions, and advanced communication procedures. Arctic Edge is a good opportunity for the ODAs to test equipment and procedures in austere environments. 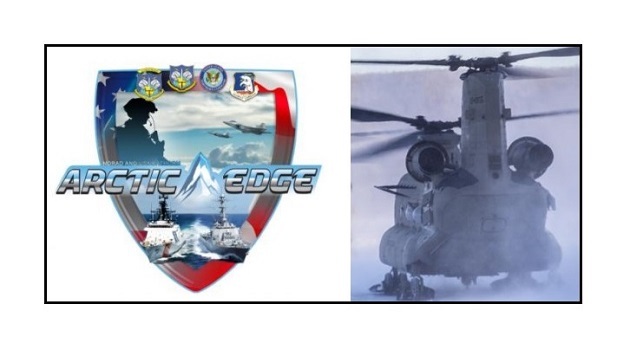 Arctic Edge 18 is a Homeland Defense exercise hosted by Alaskan Command (part of U.S. Northern Command). Approximately 1,500 U.S. military personnel from all branches of service are participating. Units from the Air Force, Army, Coast Guard, Marine Corps, and Navy are taking part in the event. One part of the exercise is being held in Utqiagvik and Fort Greely, Alaska. The biennial exercise provides the opportunity to use winter warfare equipment such as snowmobiles, skis, and snowshoes.